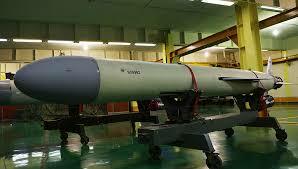 The Soumar is an Iranian long-range cruise missile. Because of the similarities media guess a range between 2000 and 3000 km for it. 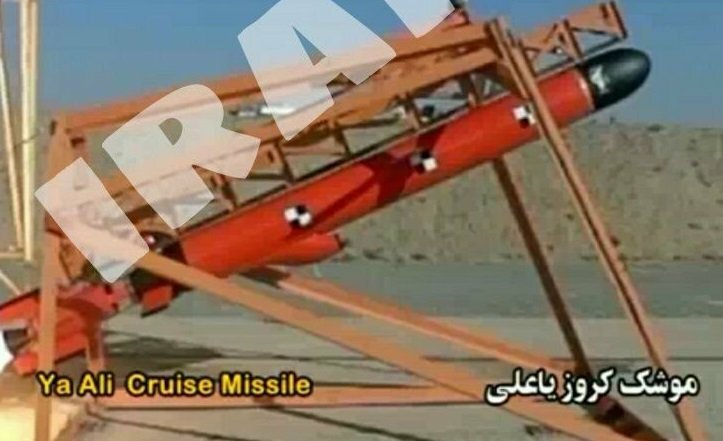 The Ya-Ali is a land attack cruise missile (LACM) built by Iran. IT carries a 200 kg warhead. The air launched type of the missile has a range of about 700km but land and sea launched versions are also under development. 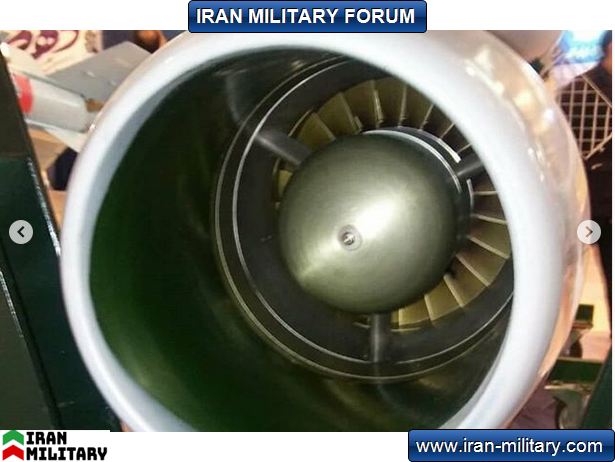 The missile was first unveiled on 11 May 2014 when Iranian leader Grand Ayatollah Ali Khamenei visited the Aerospace Force of the Army of the Guardians of the Islamic Revolution.Ya ali missile is powered by turbo jet engine unlike Soumar and Hoveizeh,land attack version use booster at first stage which is reject after few seconds after lunch. 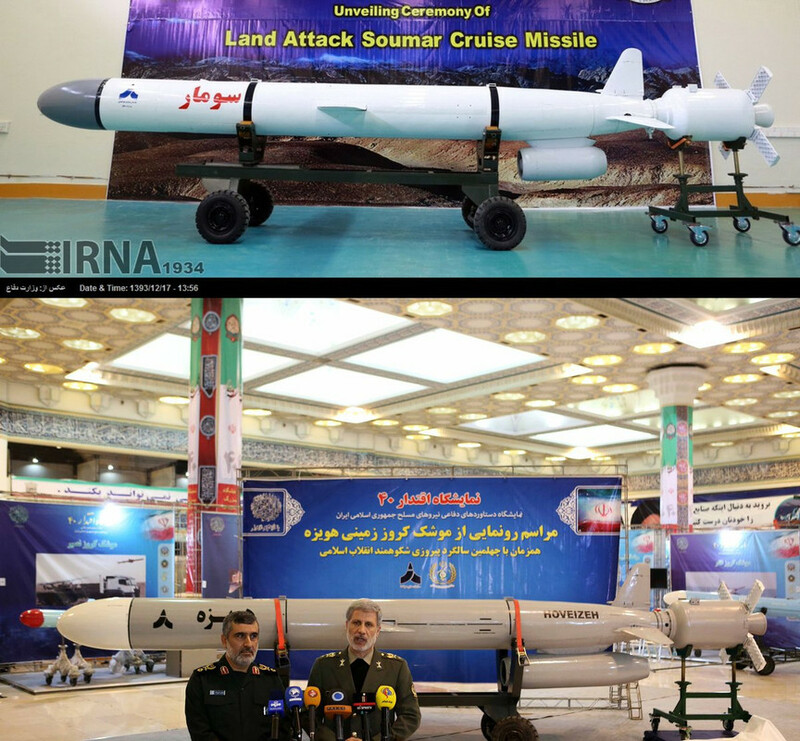 Hoveizeh land attack cruise missile is latest deployed iranian made LACM and it is tested against target at 1200km range. “The test of the Hoveizeh cruise missile was carried out successfully at a range of 1,200 km and accurately hit the set target,” Defense Minister Brigadier General Amir Hatami said. “The Hoveizeh missile needs a very short time for its preparedness and can fly at a low altitude,” Hatami said.